With a firm belief in making sewing fun, Elna sewing machines are designed to be versatile, easy to use and modern. The Elna trademark has always embodied innovation, quality and service and the company has continuously strived to expand and grow with these characteristics as the foundation. The company’s dedication to excellent and quality is evident in every sewing machine they manufacture. The Elna product line is extensive. Elna sewing machines run the gamut from basic mechanical models to advanced, computerized models that are capable of sewing intricate embroidery. 1940 : Though relatively new to the world of sewing machines, Elna took on the superpowers of the industry with its very first model, the Elna #1. The compact, portable, Elna #1was green in color, which was a complete break from the traditional black that dominated sewing machines at that time. Its metal carrying case unfolded to form a sewing table, an added convenience that no other sewing machine company had thought of. Not surprisingly, the Elna #1 was a resounding success and gave the other machine companies a run for their money. 1952: The Elna Supermatic was developed with interchangeable cams that controlled the forward and reverse movement of the fabric as well as the sideways movement of the needle, helping to create a variety of stitch patterns. 1968: The Elna Lotus, a compact sewing machine with a revolutionary design, was selected by the Museum of Modern Art (MOMA) in New York for its innovative ‘Design Collection’. 1980: Electronics became an integral part of all Elna’s machines including its latest model, Elna Stella. 1989-2010: There was no turning back after Elna introduced its first computerized sewing machine, the Elna9000, with its face to face and mirror image capabilities in addition to 6 memories and multiplication key. 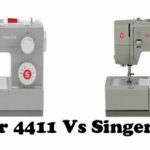 Today, Elna sewing machines are unrivalled in the industry. 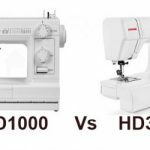 Three of their most popular models are the Elna5300 for sewing, Elna8300 for embroidery and the Elna9600 Haute Couture, the sewing machine that can do it all. 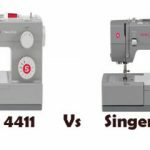 Elna5300: Capable of sewing through any cloth no matter how heavy or thick, the Elna5300 is easily one of the most versatile sewing machines available today. 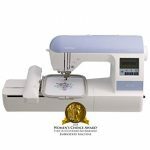 In addition to a host of advanced features, it is also equipped with stitching displays on an LED screen and supports an array of popular stitches and over 50 diverse patterns. 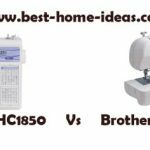 Elna8300: Offering some of the best features for embroidery on a variety of fabrics, the Eln8300 is a dream come true for anybody who dabbles in embroidery. Here’s a sneak peak at some of the features: a variety of designs that can be programmed, saved and reused; an USB port for downloading new patterns and stitches; backlit LCD screen and an almost infinite assortment of patterns from numerical and alphabetic to birds, flowers and music. 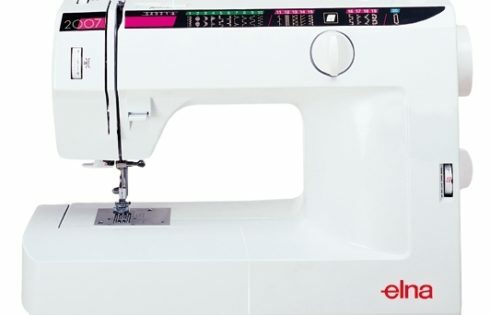 Elna 9600 Haute Couture: With advanced sewing, quilting and embroidery capabilities, the Elna 9600 Haute Couture is considered the ultimate in sewing machines. Not for nothing is it dubbed the machine that can do it all. Quilting is made easy with a template and an assortment of patterns and designs coupled with the stippling stitch and a variety of other quilting stitches that give the quilt the much desired ‘hand-sewn’ look. Embroidery enthusiast will love the adjustable stitch length and width and over 170 delightful patterns. On top of it all, it supports embroidery JEF and JEF+ formats, which means you can download and incorporate new patterns and designs into any of the existing designs. Definitely a machine that can do it all!